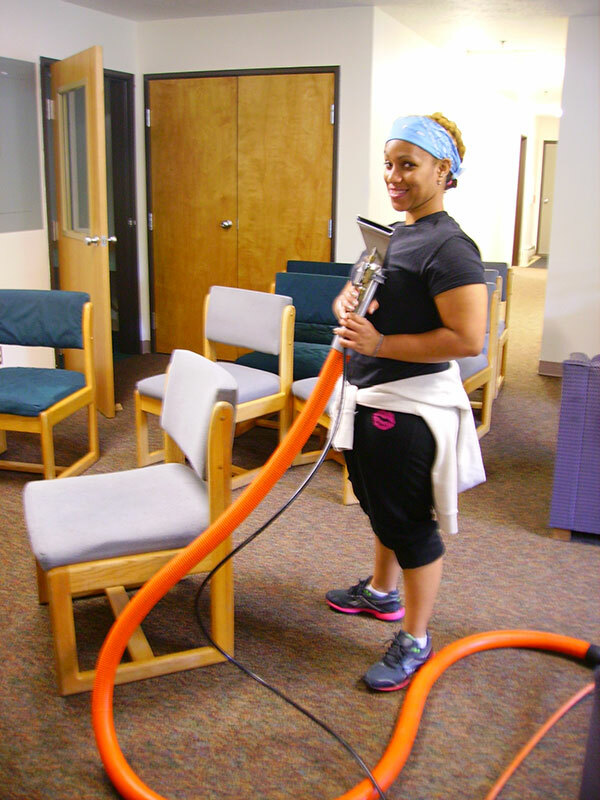 During the summertime, the Custodial Team goes into high gear. 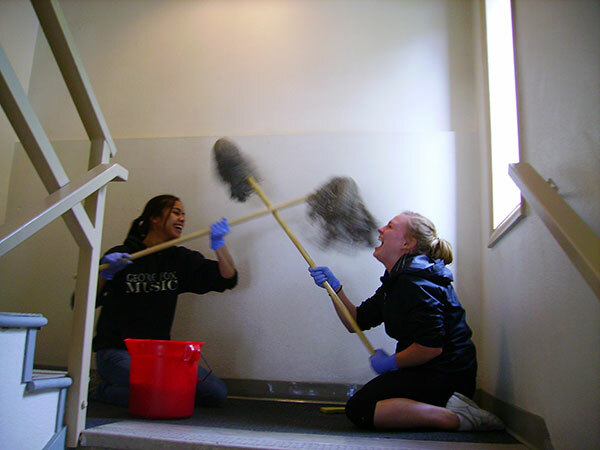 Not only do they deep clean the areas previously occupied by students and faculty, they also clean rooms and residences inbetween conference groups. The campus is always busy, which means that Custodial is always busy! Cleaning together can be fun - we're a great team! 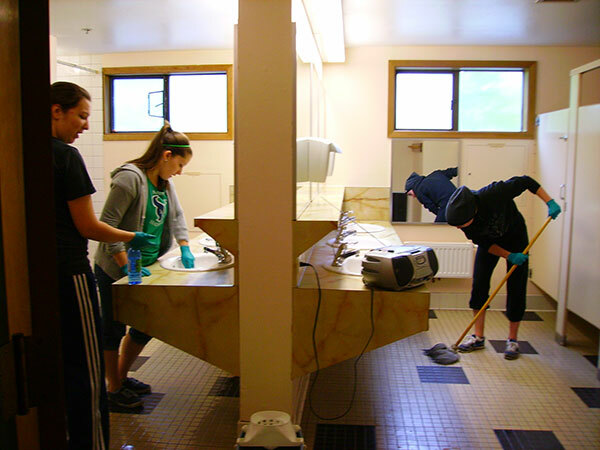 Deep cleaning the bathroom in one of the residence halls. 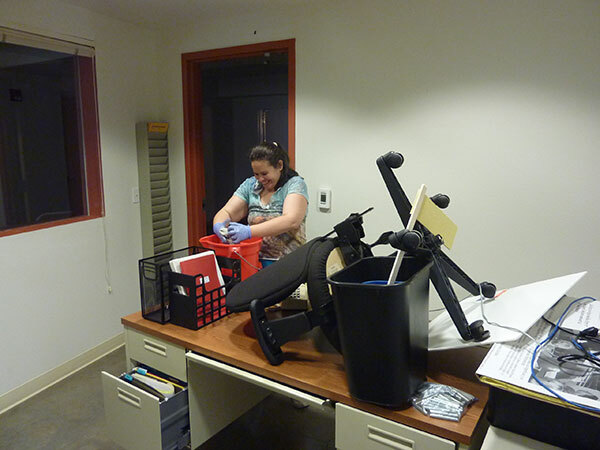 The Custodial team deep cleans offices, too! 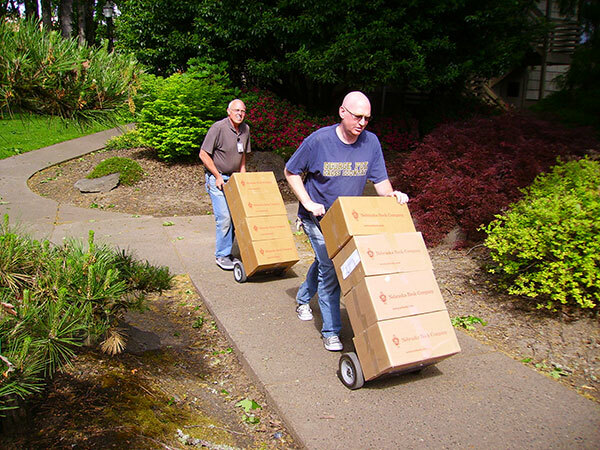 Gregg and Dan hauling boxes for the newly relocated Textbook Annex.